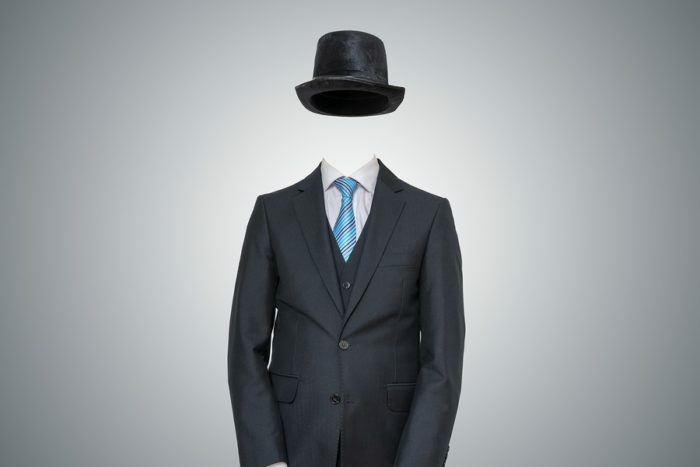 Recently, the topic of “ghosting” in the workplace has gained some attention. Ghosting at work can include job candidates disappearing during the hiring process, new hires not showing up for their first day and employees leaving work and never returning with no notice of resignation. This behavior can be incredibly frustrating for organizations that invest time and money into these individuals. While data supporting an increase in ghosting is lacking, anecdotal evidence and economic realities all point to a changed employee marketplace – one where employees have the power to ghost. Given this new reality, employers need to think about ways to prevent these negative behaviors in their organizations. Ghosting can result in expensive and lengthy hiring processes, lost information when employees do not properly transition out of roles and loss in productivity overall. It can also have a negative impact on morale, cause strained relationships amongst coworkers and lead to more turnover. So, what can HR do to help reduce the prevalence of ghosting? Transparency and communication are critical in creating a positive work environment. In terms of ghosting, following best practices in communication applies as well. For years prior to the current economic environment, many employers failed to communicate hiring decisions to candidates. Candidates would never hear back after submitting an application, undergoing a phone screening – even after in-person interviews. While that was clearly not a beneficial practice, recruiters struggled to keep on top of the large candidate pool they were dealing with. Unfortunately, these mistakes have impacted some candidates’ perceptions of a typical hiring process. For example, many current candidates were ghosted by recruiters at some point during the Great Recession and as such, may have picked up those bad habits. While organizations cannot take back those missteps, creating a positive, transparent, and clear process can start to change the way candidates view hiring processes. As with everything, over-communication is important to ensure candidates do not feel forgotten. For example, a candidate who passes a phone screening may be expected to wait some period of time before a call with the hiring manager due to scheduling or the need for additional phone interviews. During that waiting period, the candidate should be kept informed of the timeline and the delays. If the candidate feels that the process is clearly explained, they are less likely to disappear without a trace. It is also key to check in with the candidate about other opportunities they might be pursuing to gauge any potential ghost risk. If recruiters communicate clearly and regularly with candidates and build honest relationships, the risk of ghosting will decline. While there is no way to eliminate every ghost, majority of people respond positively to being treated with respect and therefore, will show respect in return. In addition to being transparent throughout the hiring process, talent acquisition teams need to focus heavily on finding candidates that are strong fits to the open role. But, what constitutes a good fit? While there may be various ways of defining fit, candidates that are a good fit to a position are behaviorally and culturally aligned with the position and organization. In other words, these candidates have similar behavioral characteristics and company culture preferences to people who are already successful at the job. Because of their similarities to current high performers, these candidates are more likely to fit the role well and ultimately stay longer. Furthermore, employees that have a strong behavioral fit to their position are less likely to quit or ghost within their first 12 months on the job. In order to minimize poor hiring outcomes, human resources departments need to integrate technology that can be applied to the hiring process and help determine the best candidates for the job. While ghosting may be a growing issue in this economic climate, the employee marketplace is bound to change and shift over time. However, creating a transparent and effective hiring process will always be important. The transparency and communication during selection sets the tone for the employee’s experience at an organization. Patricia Grabarek, PhD, is a senior behavioral scientist at Infor Talent Science. She consults with clients in the implementation and analysis of human capital management and predictive analytic solutions. Patricia advises clients on human capital strategies including talent acquisition, assessment, talent management, data analytics. Patricia is also co-founder of Workr Beeing, an evidence-based workplace wellness resource and podcast. She creates media content to translate workplace wellness research to a broad audience, including writing articles for the Workr Beeing site and other media outlets and co-hosting the weekly podcast. Throughout her career, she has worked with over sixty different client organizations from various industries, implementing I-O solutions to improve wellness, retention, performance, and engagement within their organizations. Patricia received her Ph.D. in Industrial/Organizational Psychology from Penn State University.